Costumes make great Christmas gifts. Any kind of costume is fun for the child who enjoys playing dress up but you can make Christmas even more special for your children by giving them costumes that match the toys on their Christmas list. 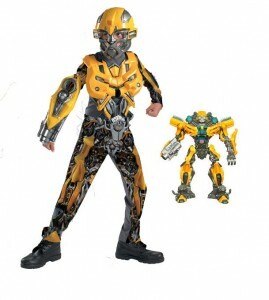 Costume SuperCenter has a selection of costumes that match some of the most popular toys for girls and boys for Christmas 2011. According to internet sources such as BestToysGuide.com and ToysRUs.com, here are some of the best-selling toys for girls and boys, along with the corresponding costumes. 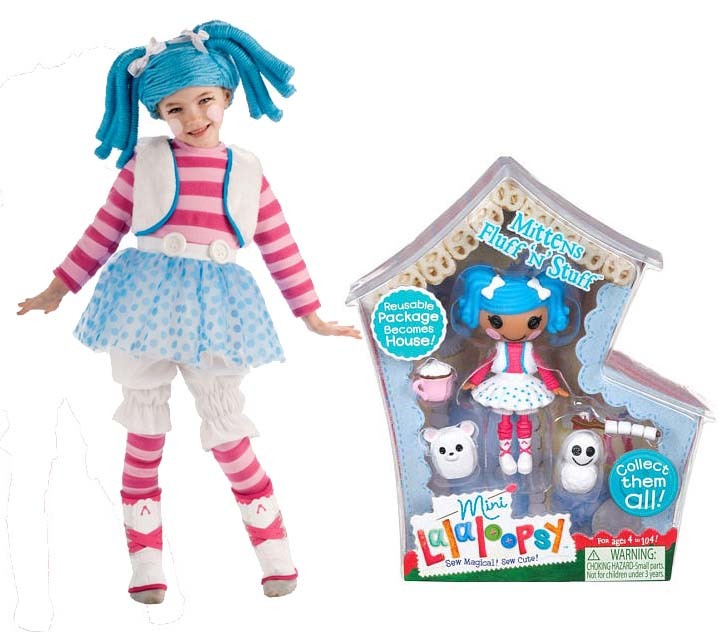 Lalaloopsy – Lalaloopsy dolls are whimsical and magical dolls that come to life then the last stitch is sewn. Each doll has her own special personality. Lalaloopsy is the biggest craze for young girls. We have the officially licensed costumes for three of the dolls: Spot Splatter Splash, Pillow Feather Bed and Mittens Fluff ‘N Stuff. The costumes fit most girls from age 1 to 7. Monster High – For girls that are older than the Lalaloopsy set, Monster High dolls are glamorous, like Bratz but with a twist of horror. Monster High costumes for girls were very hot for Halloween. 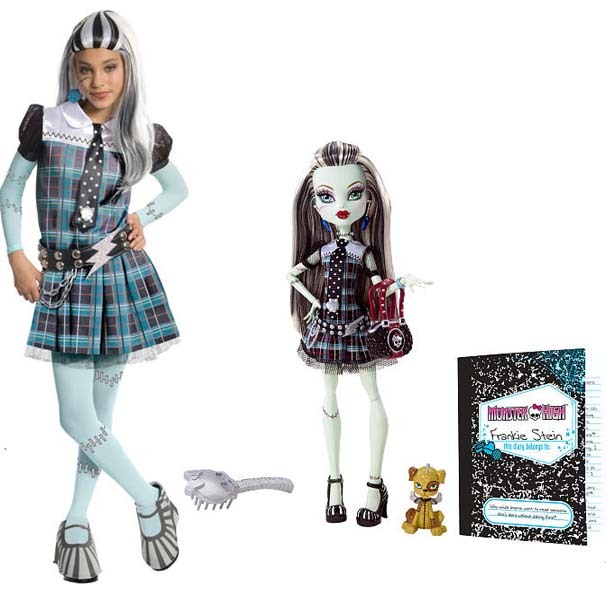 The costumes include Draculaura, Clawdeen Wolf, Cleo DeNile, Lagoona Blue and Frankie Stein. They fit girls from size 4 to 14. 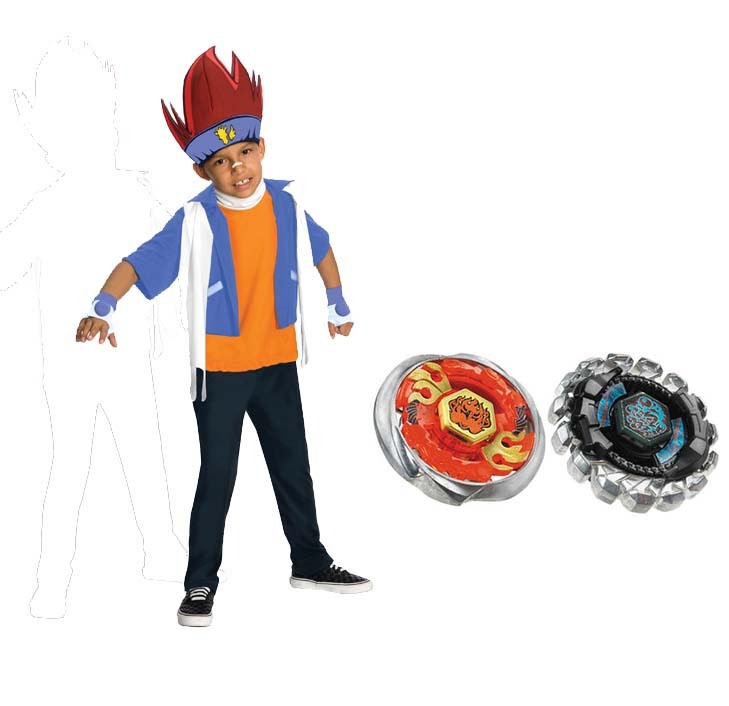 Beyblade Metal Fusion Battle Tops Ryuga and Gingka – Toys R Us lists Beyblade as one of the hottest toys for boys this Christmas. The toys are high performance spinning tops that are based on the characters in the video game and cartoon. You can get the Beyblade Ryuga costume and Beyblade Gingka costume so your son can wear it while playing with his Metal Fusion Battle Tops. Beyblade costumes fit boys sizes 4-6, 8-10 and 10-12. Additional costumes that you can find to match your children’s favorite toys include Disney princesses, Cars 2, Thomas the Tank Engine, Elmo and many more. So this Christmas, consider costumes as Christmas gifts and get them at Costume SuperCenter.